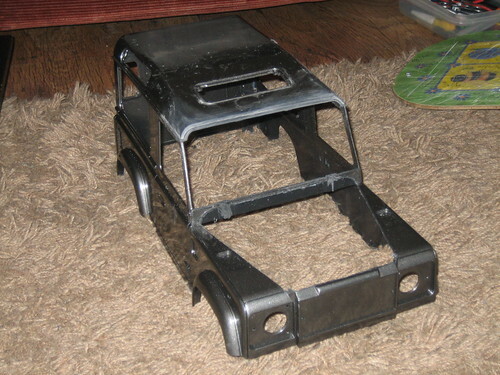 Got me one of those Chinese Land Rover shells, absolutely awesome!! Worth every penny. 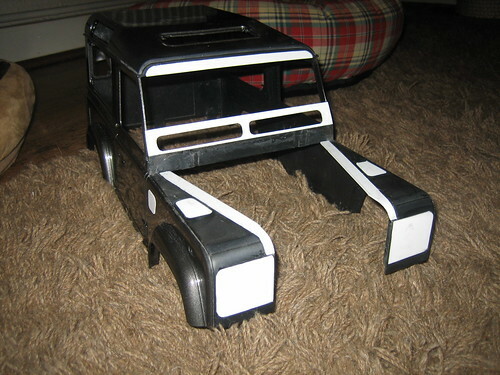 I prefer the older style Landy's, so I thought I'd give this styrene business a try! Not EXACTLY like this but in this form and style, although saying that, I do like that colour.. A LOT! Again, I thought I would try something new, that string cutting thing. Takes a bit to get the hang of it, but once it does, it works like a charm!! (unlike my scalpel attempts, which resulted in poking it into two of my fingers on separate occasions in one evening!!) This is the result. And after doing some "studying"(staring mindlessly a pictures of Landy's! ), a few measurements, cutting and glueing, this is what I have so far. I'm off to bed now, but feel free to add comments, insults, suggestions, or whatever else you can come up with, as I am still not quite sure what to do with the back end yet. Cut and add a bed? Cut and canvas? Solid as it is? Close up the windows? I don't know, you tell me!!! Last edited by airwolfie : 04-24-2010 at 12:26 PM. off to a good start. personally i prefer the pickup versions over the hardtops. a nice pickup with a canopy would be my choice. Very nice I'm trying this crazy styrene stuff soon too! Mazda Scrum project now on! Bout time there was another SIIa on here LOL. Do the safari top as in your Pic! The series landies have a "look" even more built for purpose than the Defenders. 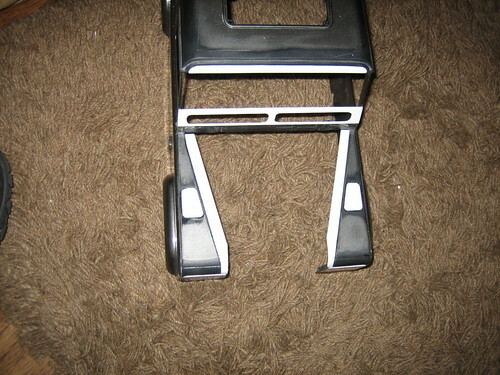 The series 2 still had the bar-b-que grille too. The bushies in outback Australia used to remove the grille to use on the fire to cook their dinner, they were cheesed off with the series three because it had a plastic grille. More posts Martin!!!!! Will be over in a bit with primer etc. Got a bit more cutting done today. I'm really liking cutting with thread!! 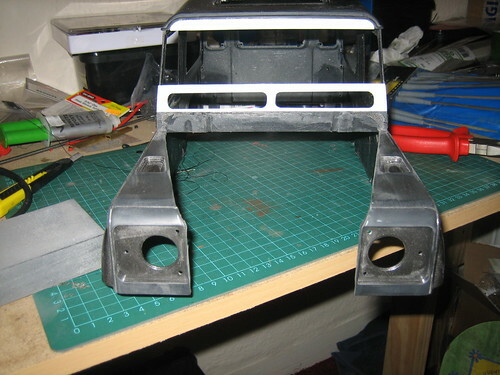 Then a bit more styrene was added, and all the holes were covered up. Funny you were saying that, it was on my mind. 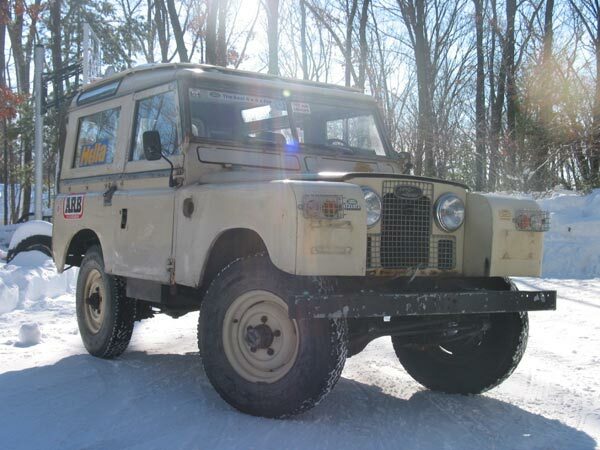 Landy's are ok but they need alittle livening up. Talking of livening up landys, did you have any joy with that steering link Neil??? I'm soooooooooo eager to get going. Tomorrow i forgot it was Bank Holiday today. One link will be done 66.whatevermm it was with threads on either end. i'll post it after work. Keep going mate, I might just be pushed over the edge!! I like the look of this one, or were you thinking more "classic" chop?